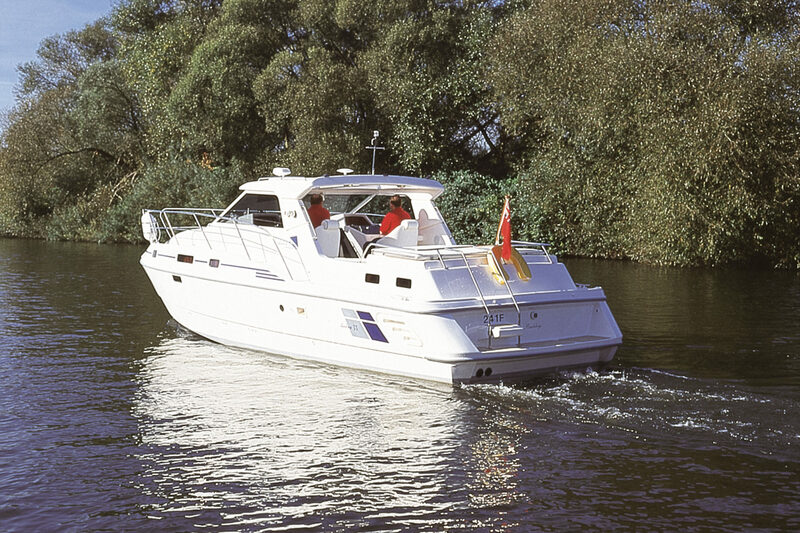 The shadow 33 is similar in styling to the smaller shadow 26 except it has a rear aft cabin with ensuite, ideal for friends staying over for the night. Like the 26 the 33 has twin sliding Perspex doors that separate the accommodation from the cockpit. The cockpit area has u shaped bench seating with twin bucket type seating facing forward with excellent. 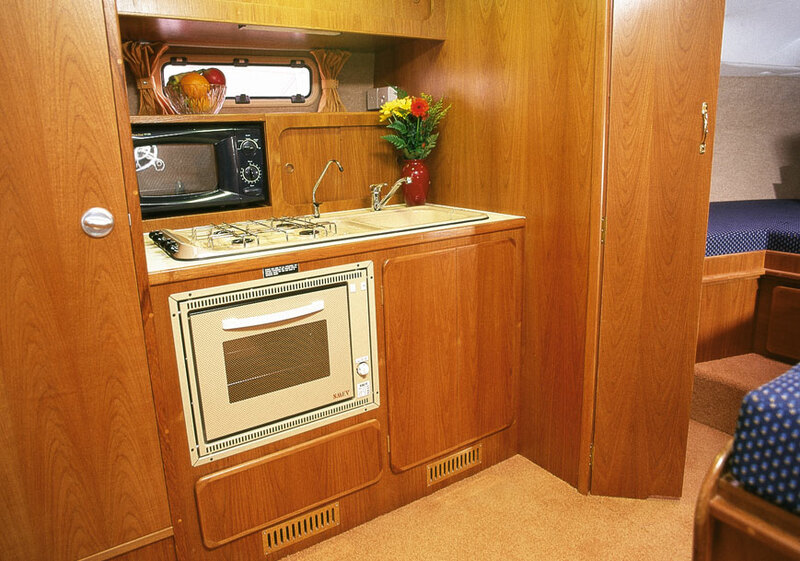 Storage lockers under seating and gas locker under helm seat foot well. Access to the engine on the river version is through the floor hatches. A full canopy with removable sides supported by stainless steel frames ensures a comfortable and dry trip regardless of the weather. Once inside the cabin light is provided by several lewmar windows and a roof hatch. A compact toilet and shower room is provided with storage for toiletries. The galley sits opposite the seating and dinning table area. Huge under seat lockers provide ample storage. Further seating forward provide a place to stretch out and relax. Downlighters through out provide all the light you need when dusk settles. Hidden under the cockpit seating lies the sliding door and steps into the rear cabin. 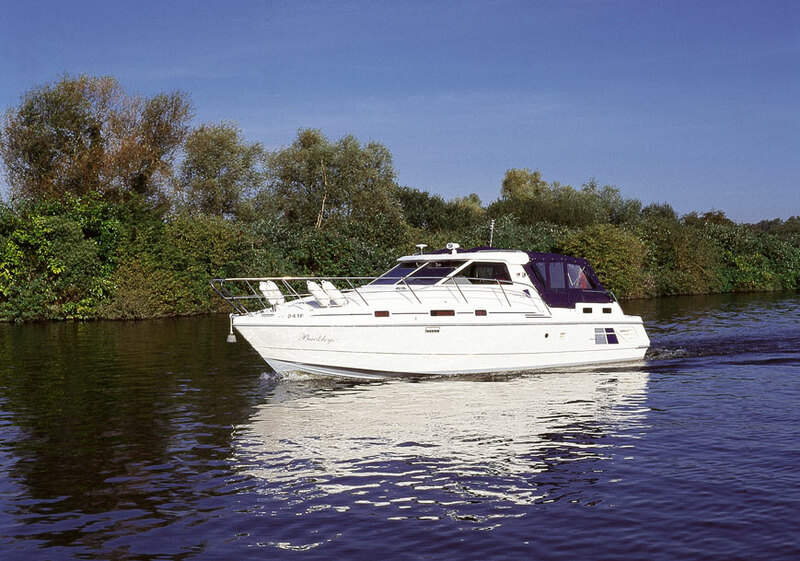 A ensuite and double berth fitted port to starboard stretches the full width of the boat. On the sea version large diesel engines on stern drives hide out of sight under the bed and mattress which does a good job of soundproofing some of the engine noise. Similar to the 26 the 33 comes in a sea or river version, cabriolet with folding canopy or hardtop with a fix roof and smaller canopy. 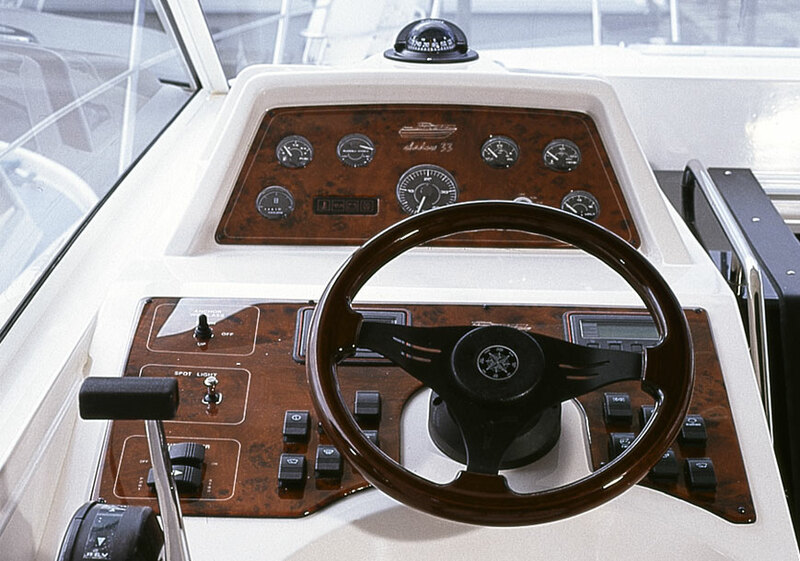 Generous use of soft fabrics and carpets and a choice of wood finishes uphold shadows reputation for quality cruisers built with over 30 years experience. 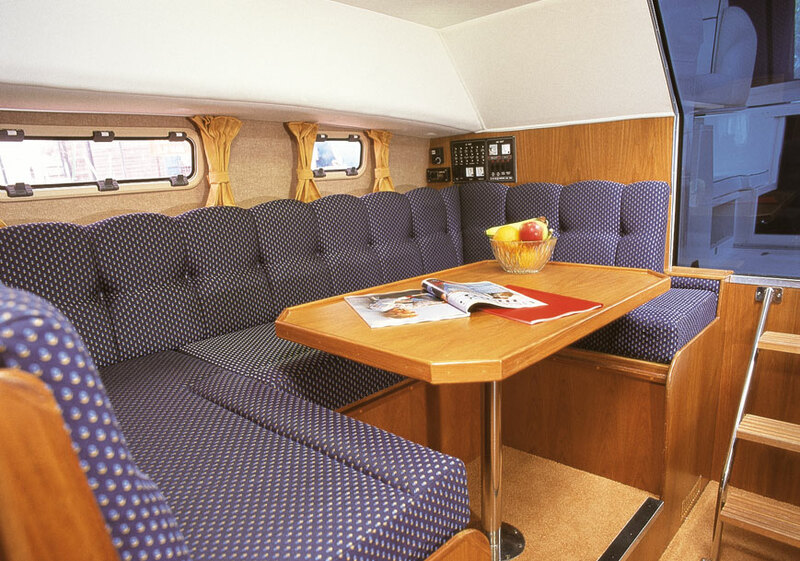 Fixed double berth and ensuite in rear cabin, convertible dinette in the saloon and two singles or convertible double seating forward. Price from £110,950 + optional extras at additional costs. Price includes vat. Customers can choose their own colour combinations of soft furnishings. Lots of optional equipment choices. Choice of engine size and manufacture. All shadow boats are bespoke builds so the customer can make ‘tweaks’ and changes during construction.